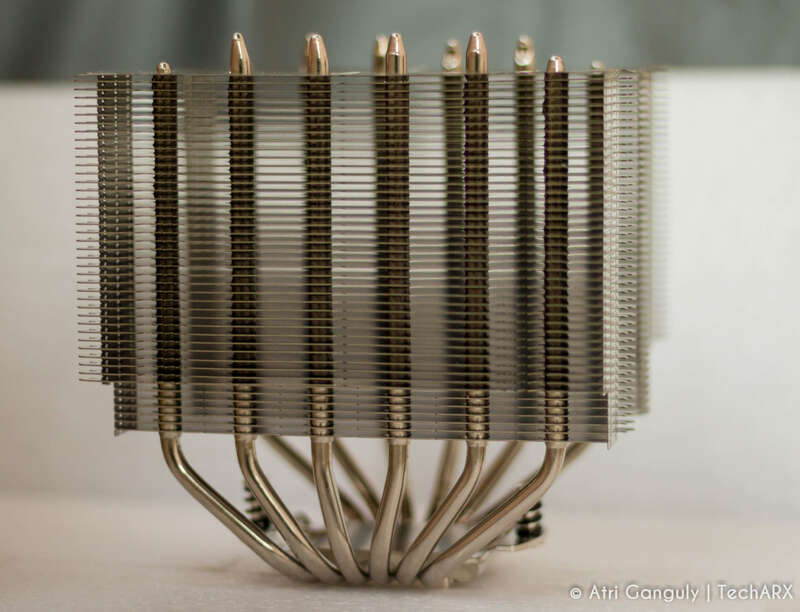 Noctua is one of a kind in the PC air-cooling league. It is a manufacturer who has been consistent in its quality and has provided clients with a great cooling option with a low sound profile. 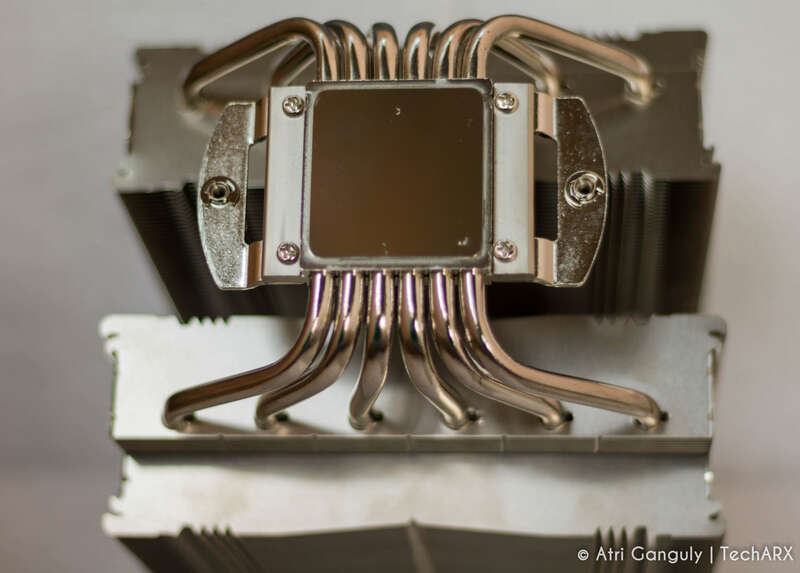 Noctua’s maneuverability and modularity are the things that make the difference in today’s PC air cooling market. Now a day’s people are more addicted toward the water cooling section. But Noctua’s NH-D series is the lure which makes many to opt for Air cooling option. The cooler that the Noctua provided us for this review is no other than the NH-D15, a behemoth based on the highly popular NH-D14. The NH-D15 is supplied in a large cardboard box with a minimalistic, elegant design. Highlighting the main features of the cooler is the primary focus of the entire artwork. Inside the main box, we found the bundle packed into separate cardboard boxes and the cooler protected within a polyethylene foam construct. The bundle consists of the hardware necessary for the mounting of the cooler, an L type Philips PH2 screwdriver, a fan power cable splitter, two fan speed reducers, a tube of NT-H1 thermal grease, a metallic case badge, four rubber fan mounts and four wire clips for the two cooling fans. Built on the basis of the legendary NH-D14 and carrying on its quest for ultimate quiet cooling performance, Noctua’s flagship model NH-D15 is an elite-class dual tower cooler for the highest demands. It’s expanded Six heat-pipe layout and Two premium grade NF-A15 140mm fans with PWM support for automatic speed control allow it to further improve the NH-D14’s award-winning efficiency. Topped off with the trusted, pro-grade SecuFirm2 multi-socket mounting system, Noctua’s proven NT-H1 thermal compound and full 6 years manufacturer’s warranty, the NH-D15 forms a complete premium quality solution that represent a deluxe choice for overclockers and silent enthusiasts alike. 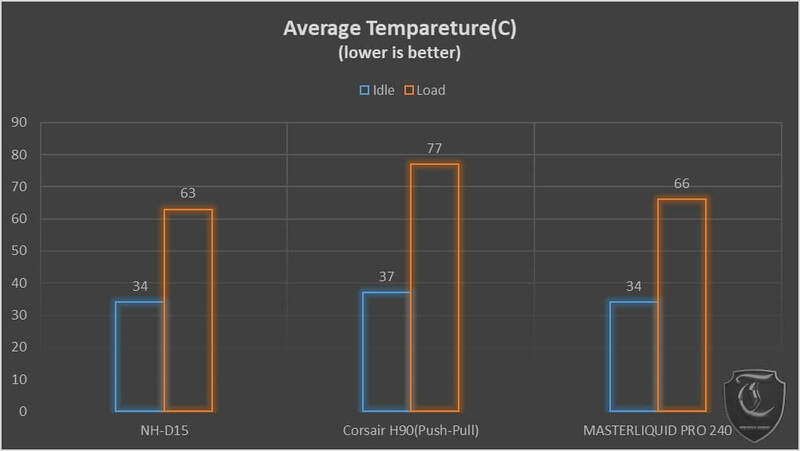 The Noctua NH-D15 held on its won against the competition with ease. With this kind of performance, we have no qualms agreeing to the fact that the D15 is indeed the king of air coolers. The NH-D15 gets a Silver from our team and is a must buy if you dislike AIO’s and want an Air cooled build and have the budget for it. there seems to be no competition for it as of now in the Indian Market. Noctua is a computer hardware manufacturer of CPU coolers and computer fans for primarily the enthusiast market. The company was founded in 2005 and is a joint venture between Austrian Rascom Computer Distribution GmbH and Taiwanese Kolink International Corporation.Noctua is a highly regarded manufacturer on the enthusiast market and has, according to the official website, received more than 3000 awards for their products.”Noctua” means literally “night bird,” see noctis and nox, notice the owl in the logo.